I was nervous to get P90x at first. I thought it would be too much for me, but I really wanted to get into shape. I asked a friend and he said how hard P90x was, so I decided to start with P90 aka Power 90. Looking back, I should have just started with P90x taking it slow at first, and then ramping up. Having done P90, P90x, P90x2 (part), and P90X3, I’ve experienced the benefits and differences of each that I detail below. The P90 program has recently been updated since I did it, and you won’t believe the changes. The old Power90 (P90) is a throwback to the days of old, but it’s now been revamped, and the new P90 packs a punch. Sectional progression to help you ease into the workouts. The phases are designed to progress you through the workout, starting out easy and then progressing. This method is designed to help you build instead of burn out with too much intensity at the start. It’s the perfect way to begin! The phases have their own Sculpt, Sweat, and Ab Rippers. The base kit also includes a workout called the Saturday Special designed to get you sweating and feeling good for the weekend. How long are the P90 Workouts? The workouts increase in intensity, and vary by type. The Sculpt workouts start off at 25 minutes (with a cool down) making them about 30 minutes long. In Phase B, the sculpt workouts increase to 35 minutes (with a 3 minute cool down). In Phase C, the sculpt workouts last 45 minutes. The sweat workouts are about 30 minutes long throughout. The Ab workouts start at 8 minutes and then progress to 14 minutes. The 30 min average workout is what made P90X3 such a hit, and now with the revamped P90, it’s the perfect place to get started and not overdo it. P90X holds its own very, very well against the latest versions (x2 & x3). It really is the Mother workout. Oh yes, p90x is where the meat is. The big difference here is that the P90X workouts are much longer than the Power 90 or the P90X3 workouts. P90x is such a great workout regime. You can use the App, to help monitor and record your progress. The routines cover a more more dynamic range than Power 90. The great thing is that you can go at your own pace. At the beginning, you might not be able to do as many reps as the guys on the screen, but eventually, you can. Workout time, you’re looking from around 40 minutes to 90 minutes (that’s the Yoga workout…went a little overboard there). So comparing to Power 90, P90x is such a jump forward in terms of variety, difficulty, and completeness of the workout. I loved participating in the P90x exercise routine and made it all the way to the finish line. It was tough, but worth it. You’ll definitely want the exercise bands and possibly even a pull-up bar (I broke down and got a pull-up bar and noticed a substantial difference in results). P90x has over 2,000 reviews on Amazon! However, for a lot of people, if the on average 55 minute workouts plus the Ab Ripper routine are a little too much, then the next option, might just be for you. P90x3 Workout – The Workout Power of Just 30 Minutes! 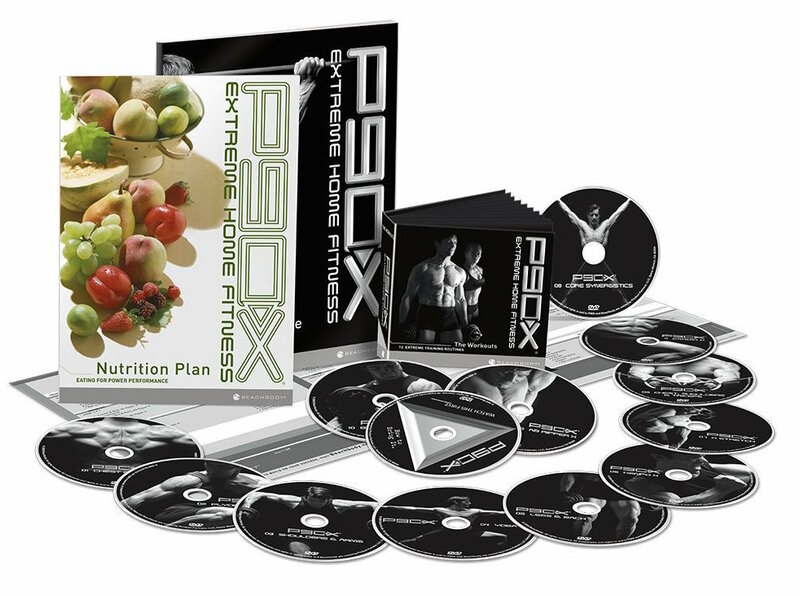 The best thing about P90X3 is that it takes all the lessons from Power 90, P90x, P90x+, P90x2, and rolls them up into a jam-packed 30 minute rocket ride to fitness. P90x3 rocks because it’s just 30 minutes. The warm up and cool down times are shorter than the previous incarnations and the workout gets right into it. There’s also less down time explaining things. You catch on quick, and jump right in. No. It’s more compact. If anything, it’s more intense. The routines have been refined, and with the variety of workouts, I didn’t find myself getting bored of any particular workouts. The workouts are lively and fast paced. There’s also an Elite Block that you can buy separately that includes X3 Ab Ripper, Complex Upper and Complex Lower. 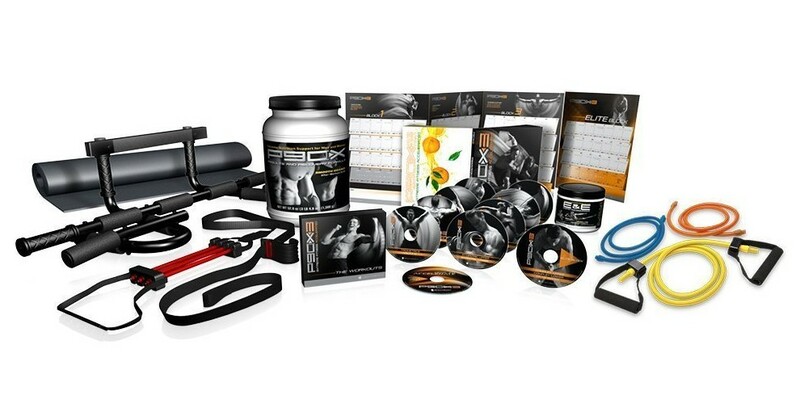 If you get the P90x3 Deluxe or Ultimate Kit, the Elite Block DVD is included. I got the Base Kit and purchased the Elite Block separately. The Deluxe and Ultimate kits are needed if you need resistance bands or a pull-up bar (highly recommended by the way. You can read my more in-depth review of P90x3 here. So which Workout set is Best? If you have the time, P90x is crazy intense. If your limited on time and still want intensity, P90x3 is the perfect option. If you’re just beginning, and concerned about the intensity, P90 is now the best way to start. If you’re looking for a way to accelerate your workout, consider augmenting your P90x with a whole body vibration system. The great thing about the P90X world is variety. I’ve enjoyed doing P90, P90x, and P90x3. It’s been great to vary it up, and turn it up. It’s almost impossible to go wrong with the great options offered in the P90, P90x, and P90x3 series, but our favorite that we’ve tried is the P90x3.